Hey guys! It’s Marcus here. You know while I was away at rehab, for the month that I was gone, in addition to starting back my old habit, I learned a few things and I got to thinking about you and how I could best serve you without having to deal with the struggles of creating new programs, and doing new things, and having things all over the internet where you have to go find them. My goal was to give you the information that you needed and the tools that you needed so that you could profit online and actually get support from me, my team, and your fellow students. Because what I learned is that we’re all going through this together. We all have similar goal. We all have similar ideas and we can all help each other out. So what I’ve decided to do is put together this internet marketing forum. Now unlike other internet marketing forums where they’re polluted with a bunch of junk, fake offers, and a bunch of garbage, this one is all based on one thing. And that is based around the way that I teach affiliate marketing, CPA marketing, and internet marketing as a whole. So this forum, unlike the others, is going to be powered by the videos and tools that I put out for you. So if you’re one of my simple site students, you’re going to have a special area in the forum to talk to other simple sites students. If you’re a blog profit member, you’re going to have a spot in the forum to talk to other blog profit members, and each group is going to get their own special set of tools, videos and everything that they need. Now there’s a couple things that are going to change with this forum. You see because I want to get away from being the guru that everyone goes to for answers and relies upon for every little thing. I want to be more of a friend. I want to be like that friend who hangs out at parties and you ask him questions about internet marketing. And you get the answers that you need in a really cool way where it’s not like someone’s selling you the solution for something because we’re all in this together as I stated before, and we’re all here to help each other. So what I’ve decided to do, is make three groups to the forum. One is the blog profit network members area, will have a link below where you can sign up and you can get involved in that. You also get the blog profit network software and tools and everything that is our basic tier. 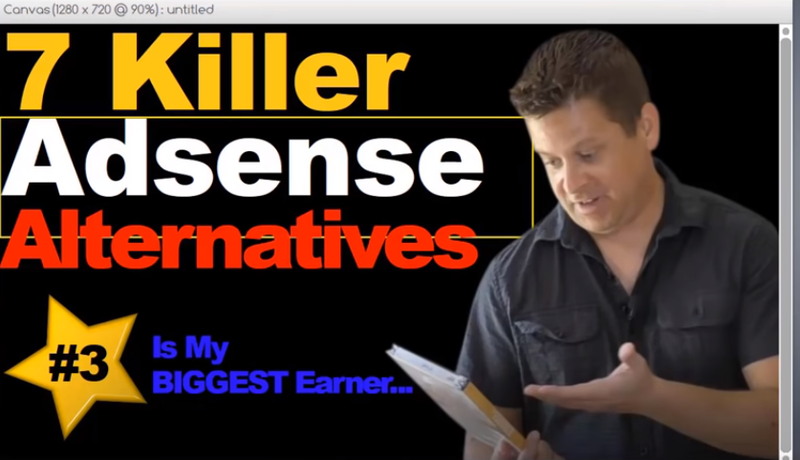 Beginning internet marketers our next tier, is the simple sites big profits forum. If you are an owner of simple sites and you are a continued coaching member, this is for you. If you want to reactivate or if you want to start with simple sites, you get the software, you get the tools, you get everything. You can do that below as well. Then we have our special founding members area. This is for elite marketers who want to share their experience, learn more, ask questions of me, get their simple sites reviewed, get their blogs reviewed, everything like that. And my goal is to make this perfect for you. So what I decided to do is allow some of my members who have had success in the past to be part of this and be able to moderate it. Now what I’d like to do to make this worthwhile for you as a founding member, is I’d like to allow you the ability to be able to pay your way into the founding member program virtually free. Now the price is going to be $297.00 a month. A lot of you guys might be thinking, hey that’s a great deal but I really don’t have that or that’s a big commitment. Now if you’re in that group of people, what I’ve decided to do is make this virtually free for you by allowing you to post special offers in our forum. These offers are going to go out to all my other students and everything like that. You can post a site with tips and tricks and things like that. You can post maybe an affiliate offer that you found that works well and you could use your affiliate link and make money. This is unlike the other forms that charge like fifty dollars or four dollars or whatever it is for one single post. This is allowing you access all month. I know being a student of mine, you’re not going to abuse this and post one every second of every day or every day for that matter. You are going to reserve this for special things that you see needed. The goal is that you learn marketing as well as provide valuable services, valuable tips, and tricks to other marketers as well. And this is going to help you pay your way through the program. This is the absolute best value and this is something that you’re going to want to stay in forever, because not only are you going to get simple sites, not only are you going to get private coaching for them and skype access, not only are you going to get access to your other students, other members and my successful students, as well as myself, but you’re also going to get the ability to advertise on the forum. Now all advertising must be approved by me and later on as the forum grows, you are going to be grandfathered in at just $297 a month. That means as we go on and we charge a thousand dollars for one post, you’re still going to be paying $297 a month for as many as you want to post. As you can see, just one little post with an affiliate link can make you even more money than it costs to be in this. So this is an investment rather than another coaching program or junk because what I want you to do is, I want you to get used to making offers to people. I want you to get used to using this forum as a way to help people. So guys what I’d like you to do is choose below based on where you’re at. If you’re a beginner, start at the blog profit area. If you’re intermediate, start at simple sites. And if you’re ready to go, ready to start making money today, go ahead and be a founding member. Guys there is nothing like this anywhere in the marketplace, and we’re only accepting a few people. So I want you to get in. Now once you’re in, you are grandfathered in and I’m going to have a special video on how to make your investment back using just the forum. So what I’d like you to do, is go ahead and choose your access point below. I am going to help you make money online. Really cool way because what I learned while I was away is that we’re all in this together and we’re all here to help each other out in the best way that I know. To help you is to provide you a place where you can go and get the help you need as well as practice your marketing strategies. So what I did is a little test yesterday as the forum is brand new and I did a test with one of my sites. I just put a little link in this forum that we’re talking about. Anything made like 12 bucks right now that might not be a lot to some of you, but it’s enough to pay your membership and it was just a test when the forum was brand new. So I want you to really see the power of this because this is your ticket to making money online. Go ahead, choose your access point below I really hope you take me up on the offer of becoming a founding member because I’m going to show you how to make your money back fast in a really cool way. Thanks again for listening! I hope you find this forum to be exactly what you’re looking for, to where you get rid of info overload and you have access to all the tools and tips that you need. Again, this is where all my coaching is heading towards. So you definitely want to take me up on whichever offer below fits your needs best. I hope it’s the founder one and I hope I get to help you make money today. So go ahead, use the forum, use the links below to be part of the private forums, and let’s make money online together, in a way that’s never been done before, hand in hand, where you can start today. Make your first dollar online today and grow from there. Guys this is the best learning opportunity because we are creating a collective consciousness of internet marketers with the same struggles. And people who have been where you are before and aren’t trying to tout some guru junk or sell some stupid thing that no one really needs. We’re all here to help each other and they’re pointing to things that we really need. So if you have a cool tip or something like that based on one of the programs that helps people, get in as a founding member and start making money right now! Guys I thank you for watching. I thank you for continuing to be a part of this forum and let’s make money today. Go ahead and sign up below using the link that best fits you. Obviously the founding forum is the best way to go and I’ll see you on the inside. 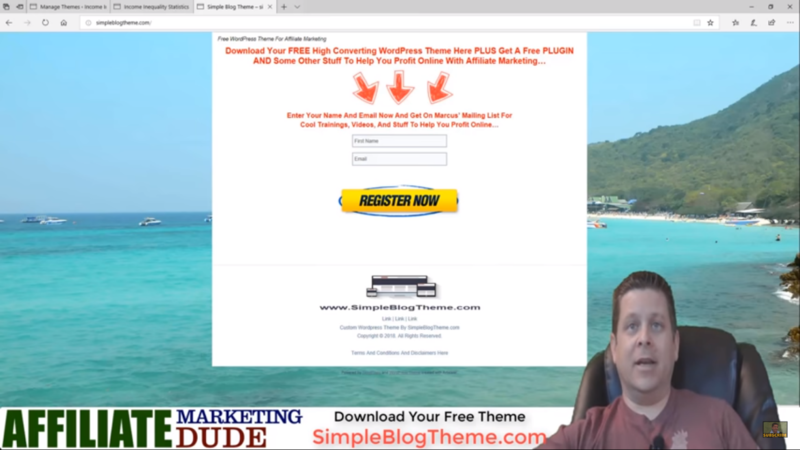 Marcus mentor me is a place where you can get updated access to all his custom wordpress plugins ($700 value) notes from his videos, tools, videos, and training on how to get started with affiliate marketing. every student of marcus’ who is serious about making this business work should be in the mentor class… its affordable and has the tools you need to make this work… this works great along side our other in depth training courses or even as a stand alone for those on a budget who want to get started fast. Today, we’re going to learn on how to make a thumbnail that’s going to reel in views and clicks for your videos, blogs, and Instagram posts! Advertisements are very important in being profitable! 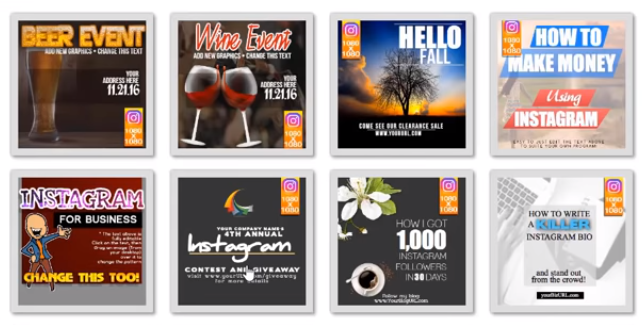 If you want people to notce your banners, thumbnails, ads, and posts , you need to start knowing what catches the eye of your market and what makes it stand out from the rest! So how do you make it stand out from everything else on social media or on any site? No worries! I’ll walk you through some really important steps! 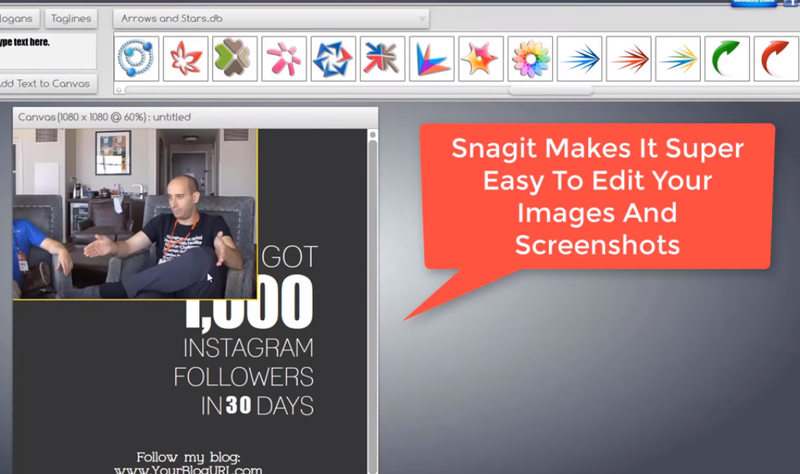 Snaggit– this is a snipping tool that you can get for 50$ that comes with a landing page course. My advice for you is that having one of these programs is well and good, but having both will make your life a whole lot easier! This is what the UI (user interface) of Snagit looks like! It’s actually very simple to use and self-explanatory. You won’t have any problem navigating since it’s got the same model as MS paint and Photoshop. First, you have to know what the theme of your thumbnail is. So if you’re making a thumbnail for a video on youtube or for a post on Instagram, you need to do your research on what fits! Once you now have a plan on your thumbnail and what theme you want it to be, you can choose from a list of pre-created thumbnails from Creatorandx choose which thumbnail fits your niche well! You don’t have to worry about sizing since it’s perfectly sized for you! What we’re going to be using is one of the Instagram templates since we’re making an Instagram post. So we will be using snagitto edit the image to our own liking! We’ll be deleting some of the unnecessary parts of the image and we’ll be placing a screenshot of one of our videos on it. One of the key ways to make your thumbnail stand out is by using large yellow texts since it has been proven for years in advertising! You can use a black or a white background – this depends on how it contrasts to the colors that are on the image. This is the final product. It should actually be very simple since the product is very self-explanatory. Deleting and moving images or textboxes around is as simple as dragging and dropping in the same way that you do in MS paint. If you’re also looking for a thumbnail that works well with Youtube videos, Creator has those pre-created templates that has the perfect resolution for your Youtube videos! And there you have it! Use these tools and your own thumbnails, posts, and even ad banners in just a few minutes! We have lots of sample banners that you can work on! Hey guys it’s Marcus here and today what I’d like to do, since over the past few years all we’ve talked about is how other people search the web and how to monetize it – what I’d like to do is – I’d like to take a few steps back and ask YOU if you really know how to search the web to find the things that you want because chances are no one really sat down and told you – you just kind of fiddled around with Google. So what I’m gonna do is I’m gonna teach you several different ways to search the internet for content for your site for calculators, for different research topics, and all kinds of different things that will help you get the information you need so that you can help others as well and make profit in the process. Now what we want to do first and foremost is decide why we want to search the web and what we’re looking for are we looking for a research topic. Video and audio or what is it we’re looking for recently what I do is I take little walks and listen to audios that I record from the internet or listen to from the internet or whatever you want to call it and what I’ll do is I’ll type something like the person’s name and mp3 searching for an mp3 file. So if I was to do something like let’s say we used a pastor’s name like Joel Osteen mp3or something like that okay you’re going to find that what’s going to happen is it’s going to show you all the different podcasts and things like that where you can listen to these people’s stuff. Or you can even do something like King James Version Bible mp3 right and you can find different things like that another thing you can do is King James Bible PDF if you want to find a document or a PDF or something like that right and here we have the full PDF version of the of the Bible we have all kinds of different things so when searching the web you want to use lots of different things to actually find what you’re looking for and also find things for your visitors as well. One of the pages that I use is the Google search features page. I’m going to put a link to this below the video with different examples and things like that so that you guys can use it. Now, what this shows us is that there’s different ways to search the web so like I’ll search ‘Weather San Francisco’ – and voila! Now we have the weather in San Francisco! One, you’ll see Q = weather + San + Francisco + CA which basically is this here. So if I was to change this to let’s say Los Angeles what’s gonna happen is we’ll have the weather for Los Angeles all by just changing this. You can also change the query if you want to search for Chinese food – simply replace the same keywords with ‘Chinese food’ and Chinese food will pop up from California. First and foremost, what I want you to realize is you can find information on any topic – very very good informationby using the string PDF so if I was to go in and say let’s say critical thinking PDF and we hit Search look at all these PDFs that I could read about critical thinking right so I can read some of this stuff and find out exactly what’s going on summarize it link to it or use it in my site to actually give information. Let’s say that we have a site about hospital medical scam. We have this site and we say “Man, we haven’t written content on this site. I’d like to find some content for this site.” We can go in and search something like ‘how to read hospital bill PDF’, and what we’re going to find so we have like understanding your hospital bill why medical bills are killing us how to read your hospital no to negotiating right so we have all this information here and we could go in and read all of these PDFs and kind of gather information about how to read the hospital bill. Now another thing we can do is we can send this to outsourcers or we could simply put links on our site let’s say we have a site about perhaps romantic ideas right we could do something like romantic ideas dot PDF. We have here’s a free bonus version of romantic ideas we have let’s see here 10 romantic ideas for Valentine’s Day romantic ideas for the month right in anything with the PDF in front of it is actually a PDF that we could use right here’s some red hot romance ideas and of course we don’t want to like plagiarize this stuff if you do want to share it with your visitors you could put it on your blog and say ‘Hey I found this really cool thing for you right just make sure you end them to your blog.’very simple. Or you could go through and gather information from all these sources and kind of summarize it on your own and use these as references right that’s basically how the internet works. 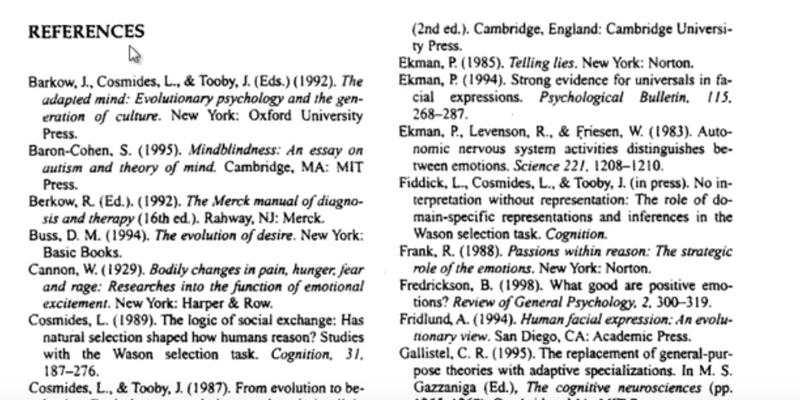 If we’re going to look at scientific papers – let’s say “Emotion in psychology PDF”. What you can see down below this PDF is references. The internet works just like these references. One of the sources talks about Cognitive Neurosciences and uses this as the top of the search engine. Now another thing to do is to utilize some of the things that I’ve put on this page now obviously I’m making the video so it’s not right here but it will be right here right one of the things that I did is I actually made it easy for you and showed you or have have put here for you the different things that I use right here’s the PDF one you just put your content like if you put ten ways to play golf or whatever write it find content BAMit’s gonna search for it automatically using Google. Another thing that I use all the time is calculators right if I do calculators let’s say I have a site about ‘pay off mortgage’find calculators what’s gonna happen is it’s now going to show you the spreadsheets for the calculators right and you can edit these like this one here I can edit right in Microsoft Excel and you can edit these like this one here I can edit right in Microsoft Excel right all I got to do is save it edit it make it cool put it on my site. Really easy. Again, don’t plagiarize. Use this stuff to learn from and use it to kind of make your own way because as you make your own way you could lead to cool affiliate programs that are gonna help your visitor get the result that they want very very important which brings us to our next one which is affiliate programs a lot of people say Marcus I don’t know how to find affiliate programs for my market ok well let’s take a look let’s say we are in the tattoo market all we do is type in tattoo and it searches for us automatically using Google here’s a tattoo affiliate program here’s a Clickbank tattoo affiliate program. I’m going to do is I’m going to go ahead and put the search features link below this video so you can see all those and use them to learn how to search and I’m also going to have these little boxes on the side of this video so that you can play around with them and learn how to make the search engine give you what you want! time getting to know Google in a new way! Hey guys! It’s Marcus here from affiliatemarketingdude.com where you can get all your tools and tricks about how to make money based on the way that I teach. People also seem to like them quite a bit and they are extremely easy to make! how to make them using the custom script that I had developed. Now you’re gonna notice that you have your title here, your domain name here, and everything like that. Before we get in to all these, what we need to do is we need to download the file. There will be a download link on the form that I have on the link below this video. Once it’s downloaded, you’re gonna notice a movingslides.zip folder. Extract this from the zipfile on to your desktop. Once extracted, we’ll see the files here. You’re gonna notice that we have a couple of preliminary clip arts here just so you could see how it works. The way that it works is this. You have a Java code that’s being accessed by this htm file here. Never touch the folder but you can touch the other images and direct file. 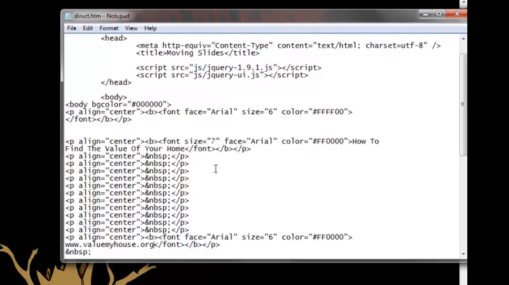 Next, we’re gonna open the htm file in our Firefox. We have this file here that is identical to the file we just had. You can actually edit the file using notepad. 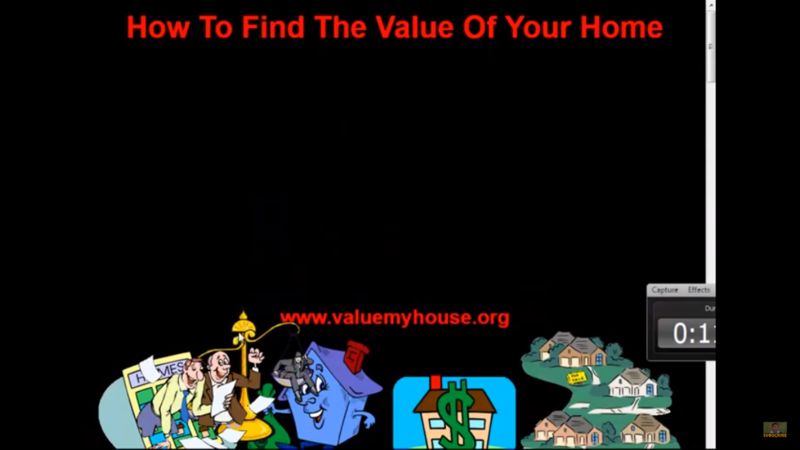 There’s the video title here, and watch what happens if I were to edit this to “How to Find the Value of Your Home.” Then here we have these spaces. 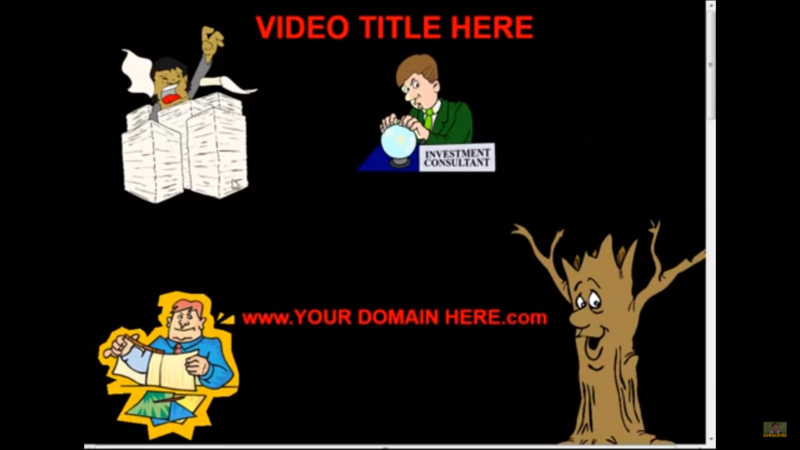 That creates the space between this video title here and your domain name. We’re gonna edit this “YOUR DOMAIN NAME” part. 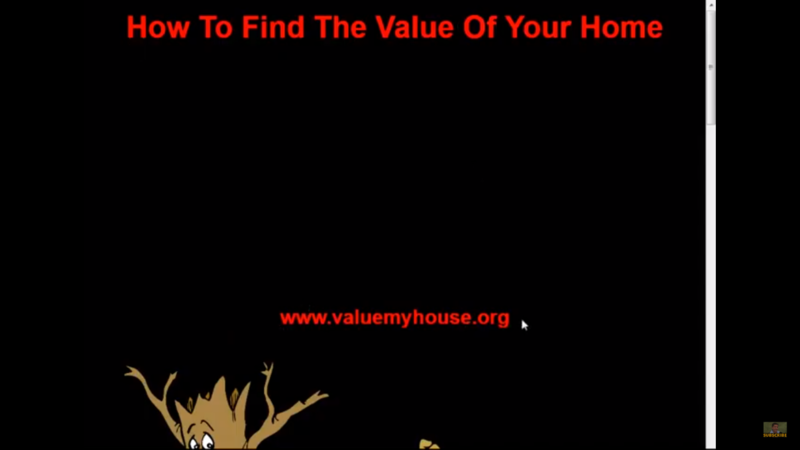 Let’s type, “Valuemyhouse.org” Notice that the images I’ve put in the file for you which is running on your computer, this whole thing runs on your computer, there’s no need to upload for anything except for the video you make. 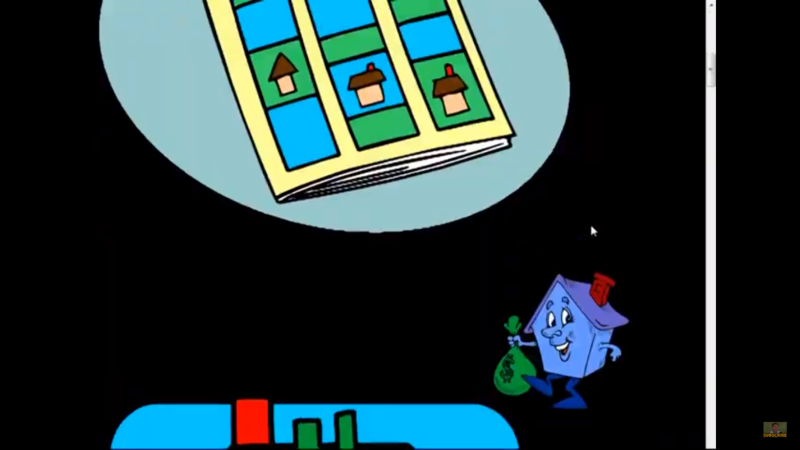 First and foremost, we have “How to Value Your Home.” Watch what happens when we save it. Because it’s saving over top of the other file, we can now reload the page and we will see our changes. How to value my home? Valuemyhouse.org. Very simple, right? Now you need some images that have to do with your topic. It’s very important to get the right images. 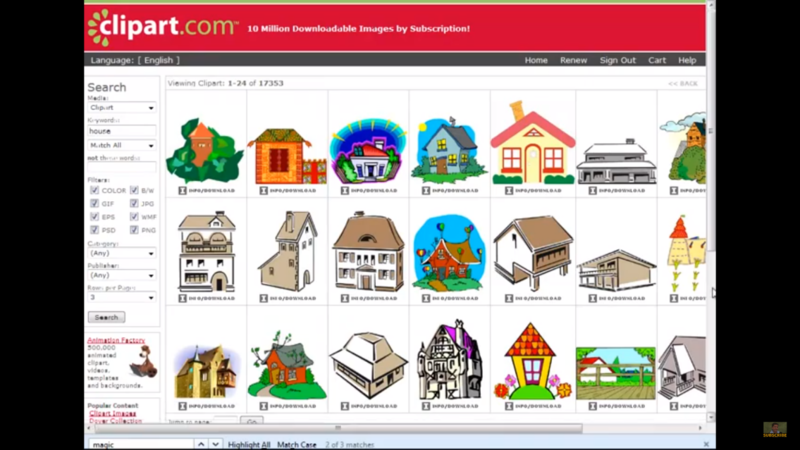 So we’re gonna go over to clipart.com or your favorite image editor which I will put the links below. Now we need to find images related to our topic. Type in “house”. Next, make sure that they are transparent and that they are GIFs. Let’s try “house sale”. Here is a little home value book. What we want is non-interlaced GIF. Download the image then save it to the same folder. Go to desktop, go to the movingvideos folder, then save it as house1.GIF. Do the same steps if you have to download other images. We basically load up all the files. You’re gonna notice in your folder, if we were to go here, we’re going to go to direct then open it to our text editor. In our text editor, in the quotes <img src=1.gif alt=””/>, we’re gonna insert “house1”. So it becomes <img src=house1.gif alt=””/>. If you need more, just copy paste it. Once you’re done, you could save it as houses.htm then choose “all files”. We should have a file called houses.htm. When we open this file, we are going to see our changes. What you’re gonna notice is that the images are big. So we want to shrink them. To shrink them, we go back to our folder where the images are. Edit the picture, resize it to 30%, then save. By editing that image, you’ve also automatically edited the size of that image in the video. This can be time-consuming so I downloaded a program called Fotosizer. It’s free and I’ll put the link below. Now I can take all the files and put it all in Fotosizer. In Fotosizer, put 30% width, 30% height then click start. Now all the sizes of the images are changed and we can get ready for our video. I just put all the images that I’m gonna use below the link. That way, I can just go through one portion of my site and record one area so they don’t see all the slides at once. Then I can just drag each picture correspondingly within the visible slide. It’s very easy to use. They can see your domain name all the time and you basically just explain things in a really easy way and record it. As you’ve seen on my YouTube channel, I use this all the time to explain different topics and show people how things fit together. Now the cool thing about using this is that it is internet-based. I’m gonna put the script on my forum and charge a little bit to offset the cost and you guys can use it over and over again as many times as you want. Hop on to affiliatedudemarketing.com, use the link in this video if you’re not watching this on the forum and I will have all the tools there for you. I hope you enjoyed this! I hope you learned how to make a really cool video. You can make this all day long for your market. Be sure to check out my video marketing tool kit for ideas on how to make more money with videos, YouTube, selling stuff, and everything like that. Click the link below and I’ll see you on the inside. Could your blog theme be costing you money each and every day? After getting hundreds and millions of visitors to my websites and blogs, I’ve found out that most people’s themes are actually causing them to lose money! THE BIG IMAGE THEME. The one that has that giant image up top and then you have to scroll down to get to the rest of the content. This does not work because as a marketer, you’re gonna notice that your most valuable real estate is above the fold. This big image takes up all the screen space at the top that leaves no room left for you to make money, unless they scroll down which very few people do. This adds to your bounce rate and stops your ability to make profit. THREE-COLUMN THEME. This where you have a blog that set up where the content goes down the middle with columns on the sides. This is where people put some ads on the right column, links on the left column and ads on the bottom part. This makes it very difficult for your visitor to read and locate something very easily. As a marketer, you want to locate something at the drop of the hat so they can click it and get you paid. This three-column theme is out. That does not work. THE FUTURISTIC BLOG THEME. This is a theme where people go through and they have all the kinds of fancy buttons and things that pop up and scroll and images slide in from anywhere. This doesn’t work either because it takes the user a lot of work to get to the things that they really need. What I found that works good is a simple theme that looks like this. It works on mobile and it works on computers as well. This can either be a one or two-column layout. A one column layout looks like this with all the text everything in the middle and a header image at the top. A two-column layout is a column down the right side. I like to keep the column kind of hidden so it looks like part of the theme so we don’t usually have an actual border. So we put the video content and then the text content. This makes it easy for people to read. Remember, most of the people are going to read right to left. That’s why the other don’t work because it’s all jumbled up, makes them scroll down to find what they’re looking for, and the other is way too complicated. We want to keep everything really nice and easy. Image on the top, content on the left hand side, sidebar on the right. You can have in your sidebar like a little opt in box, some ads, other links and stuff as well. This has been proven as the most money possible per visitor. 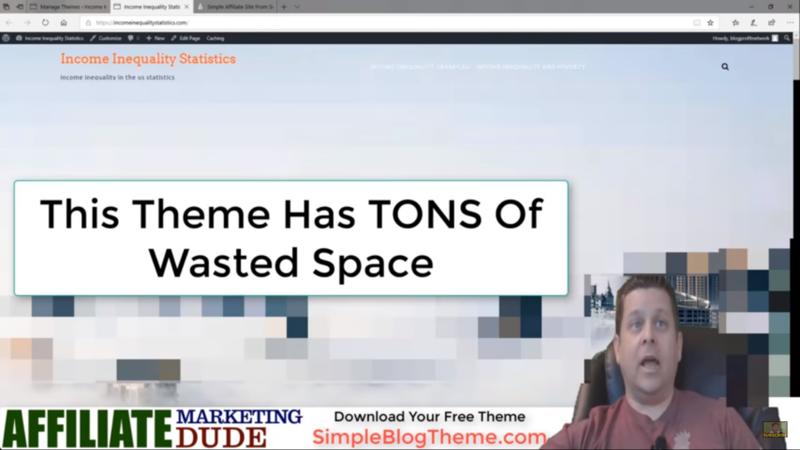 If you are interested in making the most money possible per visitor, I’m gonna show you how to customize this theme for your site in less than 3 minutes! Let me show you how easy this is to do. Put your name and email address in the box.This is gonna take you to the download of the theme. You can watch the instruction video here and simply download this theme by clicking and hitting save target ads. Download this to the desktop. Once it is downloaded, you can notice the downloaded blog theme in a zip file. Go ahead and right click then hit extract all. This is gonna prompt you to extract the blog theme. Once it is extracted, you’re gonna have a bunch of files. Just ignore all the others and click on the images folder. Now you are going to edit two things. First, the header image. Second, the background image. The first image is named header, while the second is named page. It is important that you overwrite these with your images. Next, I’m gonna use my editor program to make an image or logo. Make sure it is 1000 x 100. Once you have the image the way you like it, you’re gonna go file save as, save it in your desktop, to your simple blog theme images folder. Overwrite the header, replace it, you’re done! After that, locate a nice background image. You can get it from clipart.com. Download the one with the highest resolution. Save it and replace the page file. Then go back to the beginning. Highlight everything. Click send to compressed folder and name this after your blog. For example, I would name it income for my “Income Inequality Statistics” website. Upon going to the website, you can notice that you still have to scroll down far to actually get the content. With this, we’re gonna go to manage themes on our blog. Click on upload theme then browse the theme we just created in the folder. Install the theme then activate it. 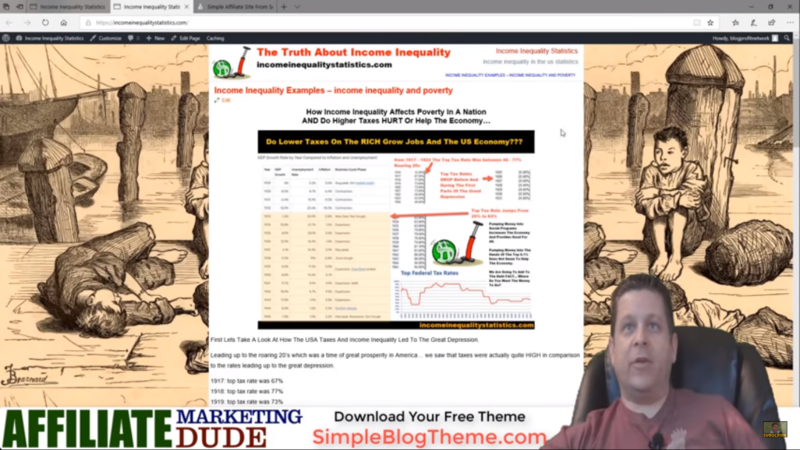 Now you can see we have a beautiful two-column and one-column theme based on what I’ve been using for years to get results that make money. Go ahead and try this out! Hop on to SimpleBlogTheme.com. Download your free theme. Customize it in minutes. Upload it. Then start converting your visitors. I’m Marcus and I hope you enjoyed this video. Subscribe and click the notification bell to check out the next video! Today, what we’re gonna do is talk about how to make automated autopilot affiliate commissions. That’s right! We’re gonna tell you how to make money, the best kind of money there is. The money you make when you’re sleeping, when you’re out on vacation and when you’re not even working. And we’re gonna break it down for you step-by-step in a very easy way, so that you can start right now! So first of all, let’s go ahead and get into how to automate income. How do you automate your income so that it just comes automatically and it builds and builds and grows and grows? Let’s take a look at some of the things we can and cannot automate. First of all, what can’t we automate? Well we can’t really automate website creation. We can’t really automate the research. We really can’t automate building affiliate links and things like that. So those things, we have to do one time. We got to set them up. We got to make them work. Now let’s talk about what we can automate. Some of the things we can automate are the very most important things you see once you set up a website one time. Let’s say we set up our website. We put some content on it. We put some affiliate links on it. Then in order to automate it, all we have to do is have systems in place that generate traffic over and over and over and over and over again. It’s because here’s the deal. You’re gonna get paid in proportion to the quality and quantity of the traffic that you provide to the offers. Plain and simple. I’ll say it again, you’re gonna get paid in proportion to the quantity and quality of the traffic that you provide. Now if we can get this traffic over and over on autopilot, that is the name of the game that’s what works. So well you can’t automate website building. You can automate content creation. You can automate some of the things that will get you traffic which is very important. Now when I talk about traffic, we’re going to talk about two different types of traffic. ONE TYPE IS NEW TRAFFIC AND OTHER TYPE IS RECYCLED TRAFFIC. Recycle traffic. Now we got a look at this because again the idea is get more people to your offers, make more money. Now if you get people hours a day, like right now there’s tons of people hanging out on my website. There’s people buying stuff. The only way that happens is because I get people coming to my site each and every day. Now some of the things that you can do to automate traffic in terms of new and recycled traffic. Let’s talk about new. How can you get new people to your site? Well you could set up a pay-per-click ad this is where you go to Google, Facebook, Instagram, YouTube, wherever you buy an ad. And it generates traffic. I do this with banner ads. I buy a banner ad. One time, I pay the bill for the banner ad every single month and it generates me money automatically on autopilot. You can do the same thing with paid traffic. The more you set up that are targeted again quality of traffic, the better your gonna do. And the automated income is going to come in. Now another way that you can automate your traffic is by creating new posts or content. One thing I like to do is create new content. If I create new content for my market, it’s gonna get out there. It’s gonna go on the search engines. It’s gonna get me traffic and boom I’m gonna start getting automated income. If I have let’s say 30 different pieces of content out there, every day generating ten visitors a day each, that’s 300 visitors a day. The law of sales averages says, I should get a sale every 100 clicks. That would be three sales per day or more. You just go. You set it up. It’s automated. Another way we can go out there and get automated income is to create new sales funnels. Create some new thing that you could give away to your audience to build a mailing list. Very important because once we build a mailing list, this is gold. Here’s the deal. I’ll show you how it works. Subscribe and click the bell so you could get more videos and attend live streams every week! Over Talk Sober, I’ve been messing around with it for a while building a YouTube channel. I got a lot of people interested. Got some people by. I got a lot of people that are staying sober which is cool. That’s like the goal right now. I have those people and I tell them, “Hey check it out! If you go to my website.” I will give you a list of letters that I wrote and I have them over here somewhere. They’re around here somewhere and it’s a list of letters that I wrote to an alcoholic. That basically guides them through stuff. They’re like seven pages each. Took me like an hour each to write. Not that big of a deal. Once I have these written, I have these letters and I could tell people to go to my website, put their name and email in the box and I will send them these letters each and every day. Right now, what does that do? What that does is it now automates the ability to recycle traffic. So now they come in. They fill out the form and each and every day for 31 days they are getting an email with a letter to help them stay sober. Now if I do a good job in the letter or you do a good job in your content or whatever and you don’t have to be 31, have you can have seven or three or 500 or however many you want right now, we take these people. And each time I send them the letter, I don’t just send them the letter on email and say thank you goodbye. I say, check it out! Today’s letter is about how to stay sober in tough times. Today’s letter is about this. Today’s letter is about that. Go to my website to download the PDF version of the letter. What that does is it takes these people that came in and filled out the form and it gets them to go back to my website every single day for 31 days. Now in this process, the people who read every single day and get help by these letters want to buy things. It’s all like these videos. “Marcus why do you make so many videos about how to make money online?” Well I make them because it spreads goodwill and the more you watch them, the more you want to buy things from me. You look at it and you’re like, man this guy knows what he’s talking about. I want to buy some stuff and you go over to my site and you buy stuff. Same kind of thing happens. Here we give these letters. 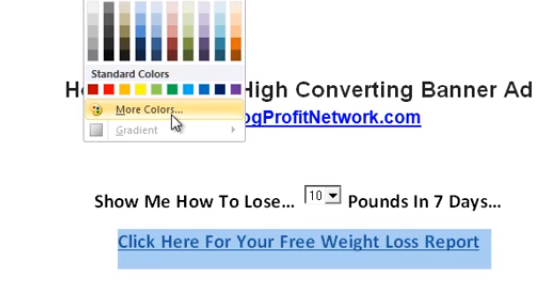 We give genuine good help for these people so whatever you’re marketing, whether it’s you know how to lose weight, here’s tip number one, here’s tip number two, you send it out and it generates automated visitors to your site. You literally set this up once and I just started doing this yesterday on my sober side. I set up seven in about 45 minutes wasn’t that hard to do. It’s really easy and now I got seven days to set up the rest of them but I set up those seven and now these people are gonna go back to my website day-in day-out. They’re gonna be looking at this stuff. They’re gonna be watching this stuff. Every time they hit my website is another time for them to see my ads. Every time they hit my website there’s another time to see affiliate offers. Every time they hit my website there’s another time for them to buy things. The name of the game is to get people to come back to your site because here’s the deal, we all know that not everyone buys the first time they see you. How many of you guys have watched my videos and you haven’t bought in anything yet? You’re like well you know Marcus has good info. I just haven’t bought anything yet. Now if I took that and said, well those people are just out of here. Forget it. I’m focusing on the buyers. I would lose a lot of money because I know even though you haven’t bought yet you’re going to in the future because you like this stuff and you want to make money with it. Same kind of thing happens with your website. The more and more they come back to your site, the more helpful info you give them, the more you bond with them, the more likely they are to check out your affiliate offers to click on things to buy stuff. I got to tell you, it’s really, really easy to set up. Once you set this up, once you could literally populate an entire year worth of content in your autoresponder to send people back to your stuff. Very simple and you just got to look at it in a really really basic way. Let’s say you’re in the market to sell Bibles or you want to market the Bible toolbar. That’s a big one. I’ve marketed, made money with that one, and we get paid three dollars or something like that, when people download the Bible toolbar. Now people are gonna come to our site and you might get if you do really, really good. You might get 10% of your visitors to download the Bible toolbar. That’s good! If I get a hundred people to my site and ten of them download the toolbar, that’s thirty dollars in revenue for me. Yay great wonderful. Now tomorrow I got to get another hundred people to make another thirty bucks. If I want to get more people, I got to do that too. Right? So we look at it and we’re like, yay I got a hundred people. I made $30 wonderful. What about the other 70 people? What if I could get people to put their name and email in a box name, email in a box and they say, yes Marcus. I want Bible verses delivered to me daily. I sit there. I pick out some good Bible verses or I google the top 365 Bible verses. I put them into my autoresponder and every day they’re gonna get a Bible verse and they’ll go wow that made me feel great. And as you say go to my site to see the whole Bible verse or download a picture or something like that, you get them to your site. Then once they go to your site, you say download the Bible toolbar. Now the same hundred people is going to produce a lot more because you’re gonna get them back to your site, back to your site, back to your site. Those that don’t want the Bible toolbar, you can offer them something else. Those that don’t want the something else, offer them something else. Build content that gets traffic every day. Build a mailing list and populate your autoresponder with the messages that are going to hit them and bring them back to your site. It’s very important that you get them back on your site. If you get them back on your site, that’s where the magic happens. It’s kind of like in the olden days when you used to read a magazine ad and you’d reply to the magazine ad and they’d send you like seven letters in the mail over the course of a couple weeks. Then we did this with a magic magazine that I responded to an ad and he sent me letters every single day. Only that was expensive that took work. You had to get the letters out there. This is automated. You set it up and you forget about it and you just run traffic to it and boom you make money over and over and over again. You’re building a huge mailing list and when you have this big mailing list, this can make you money for years to come. I’m still making money off of mailing lists I built back in 2006 when I first started building lists. Very cool very easy. Very automated. Go do it. Make some money. Subscribe. Click the bell and I’ll see you on one of our live streams. Thanks again for watching! I’m Marcus the affiliate marketing dude. Hey guys! Mark is here, the affiliate marketing dude. I’m at the video World Conference Summit thing. It’s been great. I met my buddy Jeff here. Now, Jeff’s friend Justin wants to ask a question about affiliate marketing that I think you guys would like to. Justin is a real estate agent and he wanted to know the first steps to get to a hundred thousand in affiliate marketing in a year separate from real estate. So he’s like, how do I get started with this? He’s been watching my videos forever. So we have those and he wants to get out there and do this stuff. In this video, I’m going to show you what I would do if I was brand new in affiliate marketing. I didn’t have any money or maybe like a hundred bucks or something and I wanted to start doing affiliate marketing. So we’re gonna take you step-by-step how to start, what to do, what to invest in, what you would need to do to get to a hundred thousand dollars a year because it sounds like a big goal! But in actuality it’s only $274 a day. If you break that down into 24 hour days, that’s like what 10 bucks an hour. We’re gonna teach you how to do that and we’re starting right now. When I first started my business, my first goal was to make six figures online. I wanted to make $100,000, a year from the internet, from the comfort of my own home. I knew there was a way to do it but I felt really stuck because no one really showed me the way and there wasn’t like a roadmap. So what I’d like to do today is give you the roadmap that took me to my first $67,000 year, my first hundred-thousand-dollar year and even my first million-dollar year. We’re gonna break it down and show you exactly what you need to do. If you like this kind of stuff and you want to learn more about making money with affiliate marketing and other online methods, I urge you to click the subscribe button then click the little bell notification icon because we got lots of videos here to show you exactly what you need to do! We even have a live stream every Wednesday at 10 a.m. Eastern Standard Time right here on the channel. Let’s go ahead and dive right in and show you exactly what you need to do to hit that six-figure mark with affiliate marketing! I gotta tell you, I got a disclaimer in this. The results are not typical. I don’t know what you’re gonna make. Nothing in life in business or anything like that is guaranteed. All I’m gonna do is show you what’s worked for me and what’s worked for countless other people as well. The average person who tries affiliate marketing, unfortunately never gets any results usually because they don’t try but even when they do try there are some variables. If that sounds good to you and you’re not expecting $100,000, to fly out of your computer the minute this video is over then I think you’re gonna like this video. Let’s go ahead and dive right in and get started. The first thing that you need to do when starting your affiliate marketing business is you need to find a refined audience. You got to find a group of people who’s interested in something. The more you know about this group of people, the better. It could be anything. It could be people looking for how to save money. It could be people looking for ways to make recipes or Indian cooking recipe. We’re gonna show how this works and we got to find that group. The best place to find this group is by using the Google Adwords Keyword tool. I can go through and I can type something in like, “puppy won’t stop biting” and I can see like that term that almost 10 000 people a month are searching for puppy won’t stop biting. That is what we call a niche market. That’s your group of people. Now your niche markets gonna start with a keyword like that but it’s gonna branch out and it’s gonna be broad. You might find out that as you’re going through, the niche is going to sub as that your niche is going to segment into several different little niches. You might have something like puppy won’t stop biting, puppy biting too much, puppy you know won’t sleep, puppy won’t eat, different things like that. That’s related to your main niche of puppy won’t stop biting or whatever. Now you want to keep it kind of tighten it but you want to be broad enough to where the money’s there. Obviously with ten thousand searches a month, you’re probably not gonna make ten thousand dollars in this market right off the bat. That would be your six figure mark. So we got to refine it and we got to look at other keywords and other avenues as well. So let’s say we go through and we’re like, okay we find this stuff out and we’re like okay, keyword number one is puppy won’t stop biting. Good and then we’re like okay cool so people are looking that up now. We got to look at the intent why would they search for this. If you’re in a market where it’s like live cryptocurrency prices or live cost of gold or something like that, or mortgage refinance rates or how do I know if I’m getting a divorce or something like that, you want to look at the intent. The intent of someone looking at puppy won’t stop biting is they got a puppy and they really need to train their puppy because it’s biting them and it’s driving him nuts. You might also have like puppy biting something like that and then you might also have like puppy training. So you’re gonna go through. You’re gonna see that big list of keywords that you have in the Google planner. Again, I urge you to check out the video. We’ll put it in the description below about the Google AdWords planner and how to use it. So you’re gonna get your list of keywords. You can be like, here’s my group of people, I know what they want, they want a well-behaved puppy. That’s what they want. They want to have people over. They don’t want the puppy to jump up which could be another keyword by the way and they have all these things that the puppy is doing. They want to train it so that it’s happy and they can have people over and have a peaceful life with a wonderful little dog that sits in the corner and only plays when you ask it to. That’s the goal. That’s the intent. So we got to look at this. Once you have that intent, once you have that goal and if you don’t have that goal, I would urge you to check out my videos on trigger words. I’ll put the link in the description below as well. This is where we go through and we find a niche. If you need help finding a niche, we have a service where we actually find you a niche and set up your site and help you with everything over at HighTicketNiches.com. So first step is to refine your niche. When I first started almost 20 years ago, my first niche was going after reports that people wanted on how to save money, how to deal with credit card debt, all kinds of things like that. I built a site about that noticing what these people wanted. I wasn’t as good as I am now back then but it worked and I made my first $27, 000 dollars, had my first $67, 000 a year and the idea was to have that site to cater to these people. So now the next step after you get your group of people and you find a niche that will work is to go ahead and buy a domain name. So you’re gonna buy a domain name. Let’s see if we can find something fancy for a domain name here. We’ll use this little icon here so the next thing you want to do is get a domain name. A lot of people are like, “Marcus can I do this with free hosting, with a free domain name, with free. I just want to make a hundred thousand dollars a year and I don’t even want to get a quarter out and invest it.” That’s not the kind of people I talked to. This is gonna take some money. You could do these steps for about a hundred dollars maybe less. We have some options as well and we even have free options but you know what, do it right! I’d hate to see you do it wrong and lose out on the money you could make and again if your goal is $100,000, a year you got to look at this like a business for some reason. When people try affiliate marketing and internet marketing, their business sense just goes out the window and they’re like, well where’s the money come out of my computer and that doesn’t work! Let’s look at this. We got to get a domain name. The reason I tell you to get hosting through me is one, because I’m an affiliate and I get paid when you sign up for hosting. The second reason is because I do this with my sites. So I use the same hosting. All the training videos I put out are based on that hosting platform, so you’re not going to be like, “Marcus said there’s a green button and there’s no green button.” Do everything the way I teach you and you’ll see a green button. Pretty easy. So you’re gonna go there and you’re gonna get your domain. It’s very important that when you get your domain and hosting over at GoHubSite.com that you get a domain that fits your niche. I don’t want something like Marcus’s fun site for everything.com because nobody cares about Marcus no cares about his fun site. We got to get something. We’re refine so I would want to get something like “puppy won’t stop biting.com or puppy biting stop.com or something like that. I want something very refined, something very based on my keywords and I want to do this for every niche I’m in. I also want something that’s easy to remember so that they can come back to me or go to me from a video or something like that. Notice how in this video I use something like NGO hub site. That’s easy. It’s like you’re gonna type it in. It’s not hard to spell. If I had something like Timbuktu hallelujah website, you’re gonna be like, whoa how do I spell that? Or even something like Marcus’s site, you’re gonna get confused of Marcus’s doesn’t have to s or does it have one s AND WHEN PEOPLE GET CONFUSED THEY DON’T GO TO YOUR SITE. They don’t buy anything. So make it easy. Make it based on the keywords and make it very very specific. This is what we’re doing here if you want to get to the goal. This is the roadmap to do it. So you find your niche. You get your domain name. You get your hosting. The next thing you want to do is if I can find my icon here. Set up a website. When I set up a website, I use WordPress. I use WordPress for everything. Only times I don’t use WordPress is if I want to make like a little order form or something. Just because I’ve been doing it for so long and you know it’s easier that way but use WordPress. WordPress is super easy you’ll have it installed in like 45 seconds. Maybe like 10 minutes if you’re slow. Very easy to do. Very easy platform and all the tools that I’ve designed for you in my courses and everything work on WordPress. You just click install and boom you’re off to the races. So the next step you want to do, first get your niche. Get it refined. Make sure there’s money in the niche. So if you find a niche like how to peel a banana and there’s no affiliate offers and you can’t really find a way to make money, that’s probably not gonna work. However, puppy won’t stop biting. I know I can sell pet insurance that pays pretty well. I know I can sell ebooks on puppy training and things like that. I know I can sell courses on puppy training. I know I can do gift card type offers for like pet companies and things like that. I know I can generate leads for like local pet hospitals or whatever. All kinds of things or vets, whatever it is. So there’s a lot of money. We know people spend a lot of money on vets and we know or not vets on pets and we know there’s a lot of money there. So this has a potential. We want to go through say, do I have the niche? Is there money in the niche? Those are the two questions you get an answer. If the answer is yes, you go to step two, buy your domain name. Get your web-hosting. Step three, set up your WordPress. Doesn’t have to be fancy. You don’t have to spend a thousand dollars on a theme. Just set something up simple. 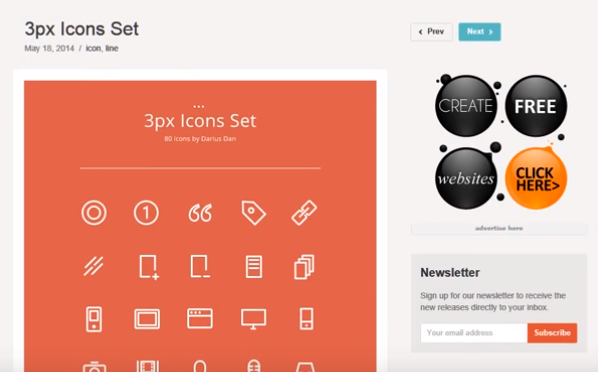 We got free themes for you. I’ll put some links in the description as well so you can get those free themes. They’re basic. They’re based on what I’ve used to make millions of dollars with WordPress websites. They work. Don’t deviate. Sometimes when people deviate and they try their own thing, it doesn’t work that well. Sometimes it does but it’s pretty rare. If you follow a proven formula, you’ll get pretty good results. That’s kind of how it works. So the next thing is to set up your site. You’re gonna go on Go hub site. You’ll follow the directions. Set up your site. Set up your domain. Within a couple minutes you’ll have WordPress. So I got my niche. I got my ways to make money. I got my domain. I got my website. Next, you want to go through your keywords. You’re gonna find there’s a lot of them. Let me pull open the Google AdWords tools so you can see how this works. 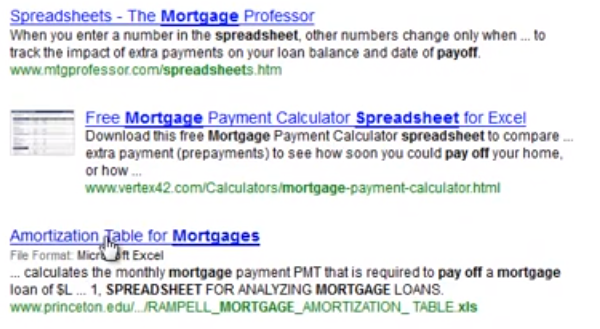 In the Google AdWords tool, we can actually go through and we can look up keywords. Again, it’s like the back door. So we could do puppy biting okay and you’re gonna see lots of keywords that people look up related to puppy biting. Don’t be kind of broad at first but we’re gonna narrow it down. So we got puppy biting. Remember how I said there’s like 10 000, people a month and there is it’s like almost 10 000, I think I was off by a hundred right so there you go. Now we also have stuff like how to potty train a puppy and on and on we go. Look there’s like a lot of searches for puppy training and puppies and whatever so we got like potty train crate trained how to train a dog stop a puppy from biting. Like this is your golden key word, check it out low competition, 30 cents on the low end, not a lot of advertisers. We’re gonna take a look here. We’ll go to google and we’re just gonna search for the keyword. We got YouTube. We got WebMD. We got all kinds of stuff. Not a whole lot of advertisements so there’s no paid ads here. If there was paid ads, it’d be like pet insurance. See how there’s ads here. That means people are paying. On the puppy biting no one’s paying cheap traffic. Here’s the thing. People don’t understand this and if you get this, you’ll be on your way to six figures. Disclaimer, probably not. Nothing ever works but I think it might. So we’re gonna go through and we’ll be like, hey check this out if I can understand that the same people who look up puppy biting are the same people who buy pet insurance, then watch what happens. Stop a puppy from biting- low competitionThere’s no advertisers if I go to pet insurance. If I go to pet insurance, we’ll just isolate this. I’m gonna add a filter and use a pet. Look at that seventeen dollars a click. So what that’s essentially saying is like the same people are interested in puppy biting are probably interested in pet insurance. It’s just a little bit different way to get there. Not everyone will be interested but a lot will or some or whatever. Even if one percent is, you’re still doing good. What that’s basically saying is I can buy traffic in a market really cheap in a market where people are spending a lot of money. We know there’s market. We know there’s stuff there. We can also go to like a OfferVault.com which is where I go to find my affiliate offers. I could go to OfferVault.com and I can type in like puppy training. By the way, people are making like 7 figures in this market so it’s a huge market. You can use it if you want. Let’s do pet training, dog training maybe. Sometimes you got to do a little poking around and a little bit of manipulating of your search ideas to see what’s going on. I know there was one for dog training. So secrets to dog training, brain training for dogs. Let’s take a look at these. 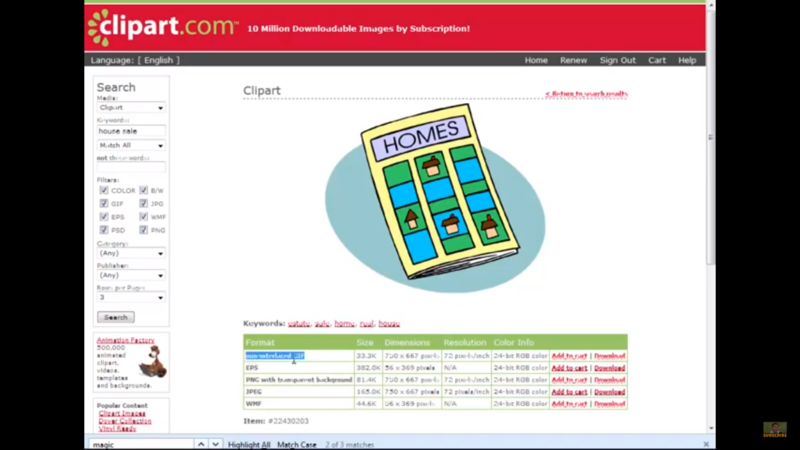 This is Clickbank. It pays 30 dollars a sale. Eliminate bad behavior in your puppy. Here’s another one. Secrets to dog training day course for free and it gets them 30 dollars a sale. We can also go through and we can do stuff like pet. I can actually type it in. We’ll go pet like this and we’ll search for it and see what comes up. Now you’re gonna scroll past all these sponsored listing. The sponsored ones are in blue so we’re gonna go down to the grey ones. We’re gonna look at like what’s out there for pets and we can find what’s out there. Sometimes they’re a little bit difficult to find. That’s if there’s like pet insurance. It’s not like that. Now this is UK and it pays low but there’s usually really good ones you can find as well. Here we got pet food samples kind of thing. We got carpets and flooring. That’d be good for like the people who want to pet trained or what’s it called like potty trained their dog. There we go. That’s the word! They’re probably gonna want like carpet cleaning. Then you get 23 dollars when they get on the phone. They just call a phone number, custom phone number and I think they only stay on for like 90 seconds or something and you get bucks. There’s also other offers like that so there’s a lot of offers. Lots of ways to make money. What we want to do is to take a look at this. We want to go back to our root word and we’re gonna do puppy biting. We’re gonna go get results. We want to get rid of the filter. We’re gonna do puppy, how to potty train a puppy, how to stop a puppy from biting. Your goal here to make a hundred thousand dollars a year, is to serve this market really well. What you want to do is you want to start to make content based on how to stop a puppy from biting. “Marcus I don’t know how to make content. I’m not a writer. I can’t get on video.” That’s fine! You can outsource it. If you want to make a hundred grand a year, you’re gonna have to get some skin in the game. You can do it yourself and make it free but you can also outsource it for like bucks an article or six bucks an article or something like that. Then you can take your six dollar article and you can go to Fiverr and you have someone make a video about it. I mean come on it’s not that hard to do if you like dogs. Get in this market and do it if you like! Like our buddy Justin who this videos for is a Cajun dude from Louisiana. He probably likes Cajun cooking like me. I love Cajun cooking. You can go in and do Cajun food. He could make a whole site about Cajun cooking and he can cook Cajun food and stuff like that. He can get people to all kinds of stuff. Look at that! You got like three hundred thousand people a month searching for jambalaya. Two hundred thousand for gumbo creole, Cajun gumbo recipe, Cajun. I mean come on! There’s a lot of stuff and again you go to your offer vault. I could do like easy recipes or something like that. I could do that. I can give it away and make money. I might also be able to do like pots and pans. I know the green pan was a big one that was out. I used to promote where you get $ and all they had to do is buy a $90 pan which is cool. You could be like I make all my Cajun food and the green pan because it doesn’t stick or whatever. Do your imagination here. Maybe the insta pot. You can use the insta pot for your gumbo. The insta pot is over on Amazon. You can find it and Amazon has an affiliate network. You can do a whole thing about Cajuns cooking and insta pots. Super easy! How to make Louisiana food in an instant so you don’t got to wait all day, sells for 99 bucks and you know you can get a commission. I don’t know what Amazon pays. It’s usually pretty low but you can go other places like go direct to the into the pot and sell it. You can sell them on your own. You could drop ship them whatever. There’s lots of ways to make money. Let’s see if I have a little money icon we can put in here. I hope you like this video so far and if you do, make sure you subscribe because we’re just gonna give you this roadmap so that you know what’s going on. So we’ll use this guy. He’s got like money eyes and he’s like super huge so we use him. So you got to have your market and you got to have your way to make money. There you go. In case you got to have your market, you got to have your way to make money. We’re gonna do the same kind of thing. We’re gonna do puppy biting. We’re gonna get all our keywords lined up. We’re gonna get our domain. We’re gonna set up our site and then we’re gonna start plucking away at all of the keywords. We’re gonna pluck away. If you’re in the Cajun market, it’d be like Jambalaya in the insta pot. You know whatever right. If we’re in the puppy training or puppy biting, we’re gonna go down the line biting and we’re gonna help people out. This is really easy. You just got to keep at it. It’s not gonna come overnight but if you do paid traffic you will get some results pretty fast. So we’re gonna do like how to stop a puppy from biting. We’re gonna tackle that word. We’re gonna get some content. We’re gonna do really good. So I’m gonna set up a blog post for how to stop a puppy from biting. I’m gonna write about it. I’m gonna get a video made about it or whatever and we’re gonna start to pluck away every single keyword we can get. I’ll just isolate it. Let’s say we’re just going for the puppy biting. Here we go! Stop puppy biting. Get us. This is my list. This is your gold list. There you go! You just start plucking down the list. You will get some rankings. You can buy some traffic. You put your offers on the site. You build a mailing list and you start to build and you start to grow. The way that I set up my sites is very simple. We go through like on affiliate marketing dude. It’s like, hey you’re gonna get your affiliate marketing tools. Put your name and email in the box. Now on my content stuff like where and I said go to go hub site okay on those I have a little tutorial. Hey here’s a video. Here’s how to set up your site. Here’s a little breakdown of how to do it right. It’s not that hard to do and you’re just gonna go through and you’re gonna be like, boom I’m gonna do one for puppy stop fighting. I’m gonna do one for when puppies stop biting and do one for aggressive puppy biting. I’m going to build up a niche. Mini Authority site in the puppy stop biting thing because that’s a deal. You know their pain point right? They want their puppy to stop biting. You got a solution. You got all your courses and your stuff and other things. You build a mailing list for people that have puppies and boom you mail that list. You give them your new content you get them back to your affiliate offers and you start to make money. It’s not that hard to do. People overcomplicate it. So you build your website. You start to put content on it for all your stuff. Now on your sites on the side, you’re gonna have a little thing that says put your name and put your email and hit submit so that I can give you my puppies stop biting guide okay. Tell a little story if you’ve had a puppy before. Then mention that I used this course or this little guide and he stopped hiding. You want the book, put your name and email in the box! Now they’re part of your list. You’re gonna put your other content whether it’s video, whether it’s whatever over here. So boom here’s your stuff. This would be your text content or your video content. You structure it this way. You’re like okay here’s my title boom. My titles over here, it’s like how to stop puppy biting. Your title’s gonna change and it’ll obviously fit on your site but your title’s going to change based on every different thing that they come. So your title is going to be after all of this, if you make videos, the videos are gonna be after all of this. If you want to get this going because some niches will be kind of competitive, they’ll be kind of tough to break into which is why I like paid traffic, but if you want to go the free traffic route, all you have to do is find forums in your market. You could literally go over to Google like this. Okay, here’s all these forums. Now you could go to these forums and you can learn about puppy biting and you can help people out. Super easy! You help them out and then you lead them back to your site. You’re like, I hope you thought that was helpful. If you did, I got a little PDF you can download on how to stop your puppy from biting and ten other annoying puppy behaviors or whatever. Super easy and you’re built and you grow and you keep at it! The problem is people set up one blog post and they expect to get rich overnight. It doesn’t happen. You’ve got to build and you got to grow. You got a test and you got to refine and you got to say, hey do they respond to the pet insurance offer? If they do, great! I’m gonna keep it. I’m gonna make it more prominent. If they don’t, I’m gonna get rid of it and you get something else. If you follow this plan which obviously there’s a lot more to it and will teach you some more about it in other videos, but I wanted to give you a quick video on what would I do if I needed to make $100,000, a year. This is what I do. I’d pick my niche. I’d go down the list. I’d start making content. If you want to get content, you can go to my site. Again, I’m gonna affiliate. You can go to GetWebsiteContent.com. You can hire articles for as little as like four dollars for a good article and just start putting them on your site, make good stuff, get it out there, put some images, make some videos, start to rank it, test some paid traffic. The more you test, the more data you’re gonna get. The more data you get, that’s when you win the internet. And affiliate marketing is driven by data. I was just talking to a client about this. The data doesn’t care how you feel. It doesn’t care how much money you want to make. Doesn’t care who you are. It’s just data. If you go through and you’re like, hey check it out, I sent an email about pet insurance to my list and no one clicked, well they don’t care about you. They’re not like oh well you know what Marcus is a terrible puppy owner because I didn’t want that. No it’s just data. Now you know what to send next time if people don’t go to your blog poster. It doesn’t rank data. Figure out why. Figure out what to do. Go to a forum. Post a link. Follow this path. Keep at it for like six months to a year. Do some paid traffic. If you need to make money right now, test it out again. Be careful with paid traffic because you could lose money. This is a business. You could lose money in anything but I gotta tell you, if you do it right, it’s pretty darn cool! I’ve lost a little bit of money but I’ve made way more! If you have a mentor, I would suggest getting me as your mentor. If you like my stuff get a Markus mentor MA. Get started with it. Go through. Get a bunch of stuff. You read all about it at MarcusMentor.Me and you can learn about how to get me as your mentor. We’ll teach you how to do it but go down the list. That’s it! This is your roadmap. Go down the list. Make content. Give good stuff. Lead to affiliate offers. Rinse, repeat, build list, email list, focus laser, focus on your keywords. Laser focus on your market. Put good offers in front of them network and my friends you should get some results! Thanks again for watching the roadmap to a hundred thousand dollars a year and again if you look at this the Clickbank book pays $32. All I got to do is sell like eight of them a day and I make a hundred thousand dollars a year. Do you think eight people out of all these people like that’s a thousand people a day looking up how to stop a puddy puppy from biting? Do you think you can find eight people to buy your book? Do you think you can find a few people to get pet insurance? Do you think you can find a few people to click on some meds? Of course you can! And that my friends is how it’s done. I would do a mic drop but the mic is attached to me so I’ll just bid you farewell and tell you to subscribe and watch the next video. Thanks again I’m affiliate marketing dude and I’ll see you in the next video.